Did you know that it takes just four implants to replace all your missing teeth in either of the arches? You will be glad to know that the evolution of implant dentistry has given us all-on-4 implants that help restore teeth in a complete arch with just four implants. 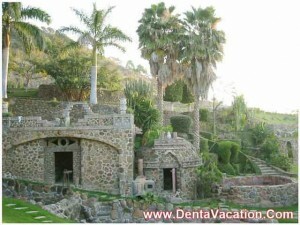 And getting a full arch rehabilitation in Mexico can help you save thousands of dollars. A dental holiday to Mexico can be looked into to avail this procedure that costs a lot lower than in the United States despite being no less in quality. An all-on-four dental implant is an implant-supported solution which restores both function and aesthetics in people suffering from multiple tooth loss. The bite restored by an all-on-four feels just like that of natural teeth. The procedure involves placing four implants in the jawbone which are topped by a full fixed denture. The day you have your surgery, the doctor will place temporary dentures on the implants till the time your jawbone heals. All on 4 implants are suitable for those with insufficient bone in the jaw thereby discounting the need for bone grafting surgery. Since you can walk out of the dental office with a brand new set of teeth the very day, the procedure is also known as “smile-in-a-day,” “teeth in a day”, “teeth in an hour”, and “dental Implants in a day”! For FREE Pricing, contact us now! How much for All on 4 in Mexico? While all on 4 dental implants in Los Algodones cost about $8,950, they cost about $5,600 at a leading dental clinic in Rosarito, near Tijuana, while in the United States these easily carry a five-figure price tag. It is easier for American and Canadian citizens to come to Mexico for their dental procedure because Los Algodones and Tijuana are easily accessible. Due to the reasonable costs of travel and stay, the total amount spent is still considerably less than in the United States. The close proximity of Mexico the US means that not only is travel convenient, but you can return home quickly and avoid paying heavy lodging fees. Many people travel across the border to get dental bridges in Mexico, along with other procedures, and return home the same day. There are also many resort cities in Mexico, such as Cancun, that have a serene atmosphere. With the savings you see on all on 4 in Mexico, you can easily turn your trip into a vacation. Mexico was listed in a recent article published by the CNN, entitled “The 5 Cheapest Travel Destinations Right Now,” citing it as one of the best current values in travel. Don’t just consider the lower prices of fixed complete dentures in Mexico, a reason to suspect their quality. There are several reasons for the affordability of dental work in Mexico. Popular procedures such as same-day dental implants in Los Algodonesbring thousands of Americans and Canadians to this side of the border. This influx of people means that there is competition among the dentists, who work to provide you the lowest prices. Receiving discount all on 4 dental implants in MX does not mean that you will have to compromise on anything. Dentists in Mexico undergo rigorous training and certification. Many of them have even traveled to or worked in the US before returning to Mexico. You can get treatments that are similar to those in the first world at significantly discounted prices because the cost of living, and all other expenditure, is much lesser in Mexico. Where to Get All-on-4s in Mexico near United States? You can look forward to getting treated at a highly recommended American Dental Association (ADA) member clinic in Algodones which is quite popular with American and Canadian dental tourists. This clinic features its own laboratory, thereby speeding up your treatment time. FREE pick and drop facility and discounted stay at Hotel Hacienda are an added bonus. 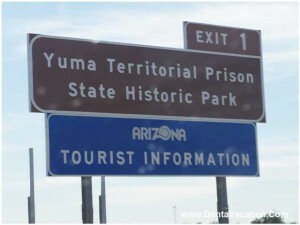 The closest American airport is Yuma International Airport (IATA: YUM). The border crossing is at Andrade, which is open from 6:00 AM to 10:00 PM. Tijuana is a major Mexican border city located less than 17 miles from San Diego, CA. Your low-cost dental implant work in Tijuana will be performed at the city’s largest dental clinic which has been serving the region for more than four decades now. The clinic is known to observe the highest sterilization standards and is one of the first to be certified by the Quality Assurance consultants in the USA. All on 4 implants in Cancun are a good option if you want to have your dental work done in a tropical setting. The beautiful resort city of Cancun is lined by gorgeous beaches and is not very far from the Mayan architectural site of Teotihuacan. An alternative to them, All on 6 implants, is also available at much lower prices than in the US. Most denture wearers complain of constant pain and discomfort when they wear their dentures. Moreover, chewing food and even talking can be difficult or tiresome for denture wearers. However, those without dental insurance or sufficient funds to pay for dental implants in their own countries feel compelled to bear with the inconveniences caused by dentures. Dental implants in Mexico are an ideal solution to both the challenges. While implants in Mexico cost anywhere between 20 to 60 percent less than in the US, the quality of dental care is the same. Patients who opt for dental work in Mexico can benefit from the low cost of the procedure. Additionally, the cost of travel to Mexico from the US and Canada is low, so patients opting for it in Mexico will be able to save substantially. The cost of dental treatments in Mexico is low predominantly because of the lower cost of living there. You can request for online pricing to compare costs of full mouth restoration in different clinics in Mexico. A photo I.D., such as a driver’s license. A tourist card, which you can receive from the airport. A valid proof of citizenship, such as a passport or your birth certificate. The rules have changed in the past decade and keeping your passport with you would be the safest bet. If you’ll be driving into Mexico, arrange for your Mexican auto insurance. You can purchase short-term traveler’s insurance conveniently along any of the roads crossing the border. The US dollar is accepted in many places in Mexico, but you may want to bring along traveler’s checks and/or an ATM card for any places that won’t take cash. All those getting any surgery done to their face are advised by the Centers for Disease Control and Prevention to avoid traveling by air for 7 to 10 days. This is to ensure that cabin pressure does not cause any damage. So when patients head to Mexico for implants they need to plan for a longer stay. This is hardly a hardship as a vacation in sunny Mexico to recuperate from the all on 4 implants will not cost much. Dental tourists should plan to stay over after the procedure to enjoy the hospitality the country is known for. When patients plan for all on 4 implants abroad they need to pick a dentist or orthodontist they are comfortable with. Besides, patients need to have a doctor available to consult in their home town as it will not be possible to visit Mexico for follow up checks. By planning carefully and selecting the right medical facilities, it is possible for patients to combine four in one dental implants in Mexico and a vacation at an affordable cost. Soto-Penaloza, David et al. “The All-on-Four Treatment Concept: Systematic Review.” Journal of Clinical and Experimental Dentistry 9.3 (2017): e474–e488. PMC. Web. 4 Oct. 2017.